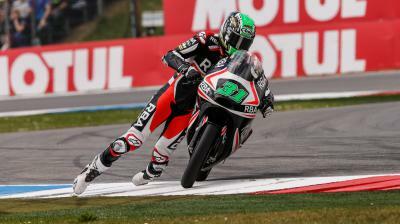 Moto2™ World Championship leader Johann Zarco came out on top in duel with rival Tito Rabat in a re-started race at the Motul TT Assen. 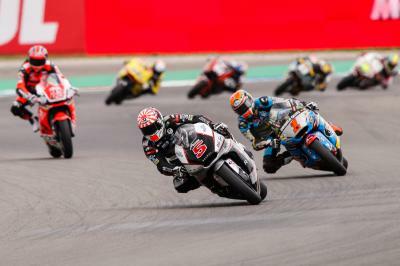 Ajo Motorsport’s Zarco took victory in front of the passionate Dutch fans that had flocked in to see his showdown with title rival Tito Rabat at the TT Circuit Assen in conditions that improved as the race went on, with the sun coming out and track tempereatures rising to 28°C. 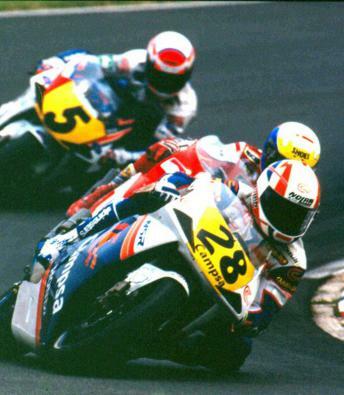 The re-started race was reduced to 16 laps because of a red flag on the very first lap during the original race, after an incident between Marcel Schrotter, Anthony West and Luis Salom that saw the latter crash out and his bike catch fire, leading to oil on the track. During the re-start Zarco got bogged down off the line while AGR Team’s Jonas Folger led into the first corner, and built up a lead of almost a second over Tito Rabat in second. Zarco picked his way through the field and attempted to make a move on Rabat for second on lap 4, with the two rivals making contact and Zarco running wide. It didn’t take long for Rabat to close down Folger and take the lead on lap 8, with Zarco also passing the German shortly afterwards. Rabat the built a 0.5s gap at the front, before Zarco started to hunt him down. Zarco timed it to perfection as he took the lead with three laps to go, giving Rabat a ‘nudge’ in the process, and went on to win his third race of the season by 0.757s. Rabat had no answer to Zarco’s pace, and had to settle for second, with Speed Up Racing’s Sam Lowes (+2.080s) crossing the line in third after an excellent ride for his 3rd podium of the season. Paginas Amarillas HP40’s Alex Rins (+03.738s) crossed the line in fourth ahead of Thomas Luthi (+4.530s) on the Derendinger Racing Interwetten Kalex and Federal Oil Gresini Moto2’s Xavier Simeon (+5.045s) in sixth. Folger faded after his excellent start to the race, eventually finishing in seventh, with Mika Kallio (Italtrans Racing Team) in eighth and rookie Alex Marquez (EG 0,0 Marc VDS) equalling his career best Moto2™ finish in ninth. Athina Forward Racing’s Simone Corsi completed the top ten as his teammate Lorenzo Baldassari crashed out of the race in an incident with Anthony West. 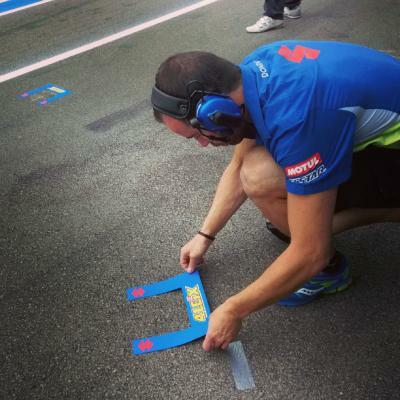 Louis Rossi, Ricky Cardus and Florian Alt also recorded DNF’s, with Luis Salom not able to take his place on the grid for the re-started race due to the damage to his bike from the red flag incident. Zarco (159pts) has now extended his Moto2™ World Championship lead over Rabat (114pts) to 45 points, with Sam Lowes (96pts) consolidating third a further 18 points back. 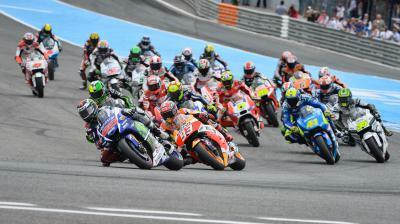 Check out the full race results and the latest Moto2™ World Championship standings. 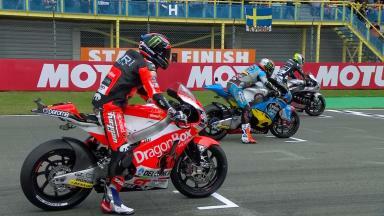 A return to the podium for Sam Lowes at the Motul TT Assen as he closes the gap to the leading duo. 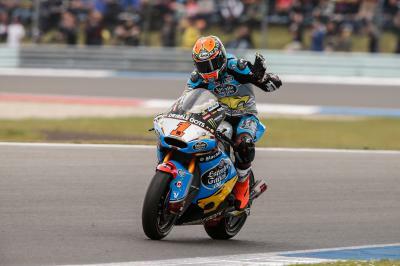 A first Moto2™ podium for Tito Rabat at the ‘Cathedral’ in red flagged race. 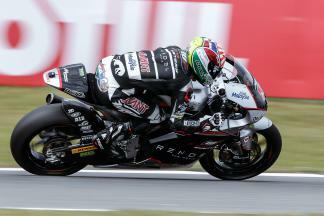 Johann Zarco was able to cement his victory of the Motul TT Assen in the closing laps, a major factor in his overall success. Moto3 rider Niklas Ajo shows stunning commitment, crossing the finish line on his knees after a spectacular save. Red Bull KTM Ajo’s Miguel Oliveira takes his second Moto3™ victory in a simply sensational race at the Motul TT Assen. 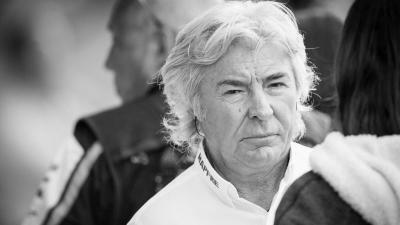 The most successful rider ever at Assen, with fifteen wins at the circuit, gives us his verdict on the Motul TT Assen. 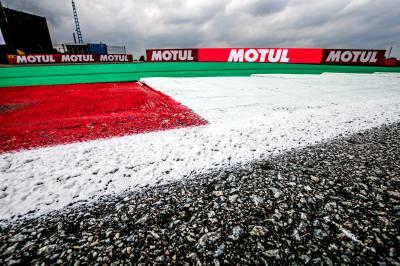 All of the information you need to know before you settle down to watch the Motul TT Assen. 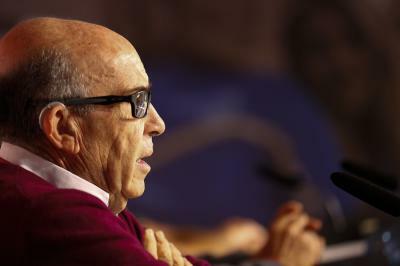 Manufacturers & teams are confident that measures announced at the Dutch GP will be successful in ensuring MotoGP's long-term viability. Weather at #DutchGP is always unpredictable. Let's stay ready for bike-switching. 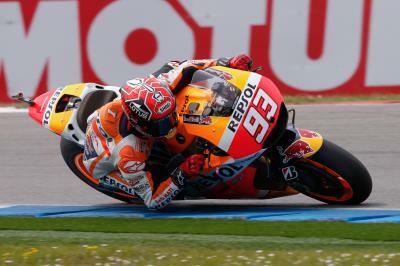 Marc Márquez (Repsol Honda Team) set the pace, followed by Valentino Rossi (Movistar Yamaha) & Cal Crutchlow (CWM-LCR Honda). 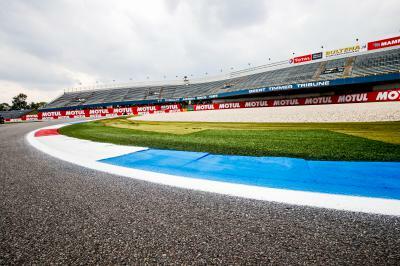 All of the information you need to know to impress your friends ahead of the Motul TT Assen Moto2™ race.